*Please read the whole pattern before eventually using it, and if you need clarification, please ask and I’ll do my best to help. 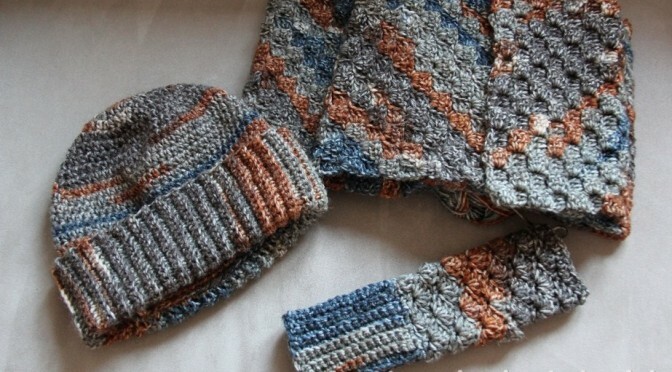 The hat was made in two separate parts – upper part, and the brim. 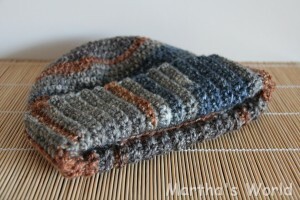 Parts are crocheted together and the brim is folded. 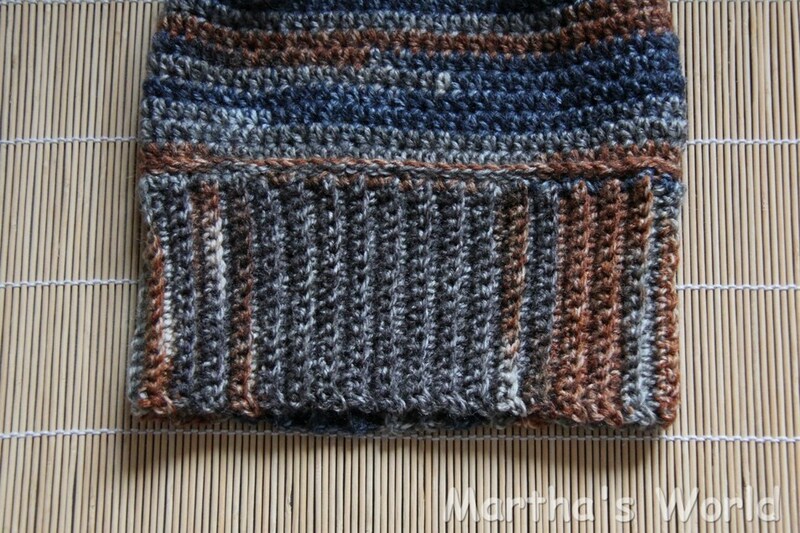 Continue crocheting the hat crown in circles (or end with slip stitch, chain two and continue the 2nd row), evenly adding 6 HDC in each row, until you reach desired diameter of the hat ‘crown’ – 19.5cm in my case – 72 stitches in the round. 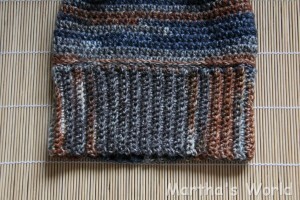 Start by chaining 16 or until you make the desired length of the brim. 11cm in my case. Turn, chain 1, crochet 16 SC in BLO, crochet until you make 36 ridges (one ridge is two rows). The length should be the same as circumference of the finished upper part. 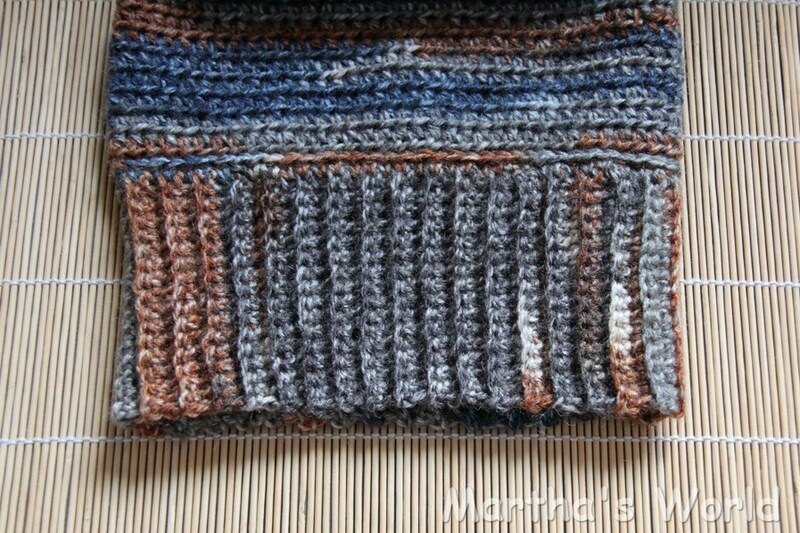 Slip stitch two shorter sides together. Crochet 72 SC across the longer side of the brim. 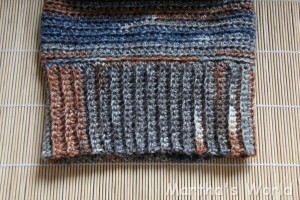 Important – the number of stitches in this row matches the number of stitches in the last row of the upper part! 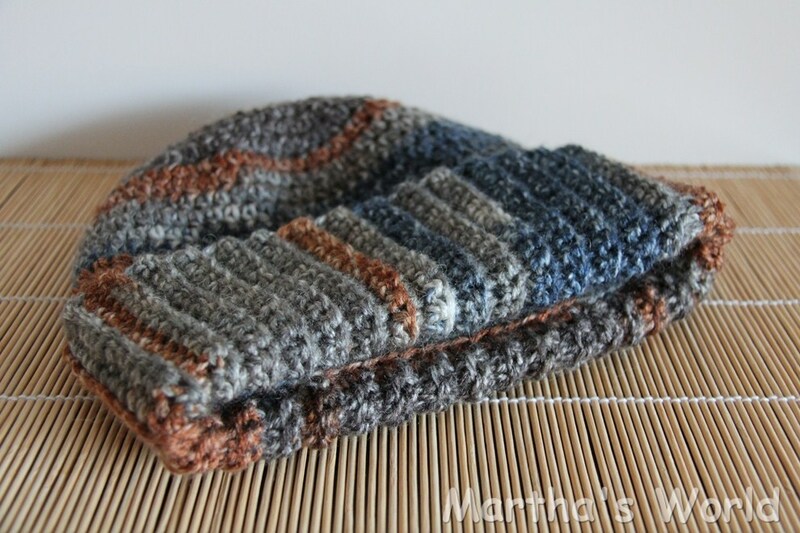 Upper part of the hat and the brim can be sewn together or crocheted together using slip stitch through 72 SC of the last rows of both parts. The seam made will not be visible as the brim will be folded.